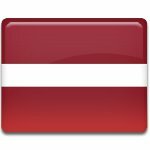 On May 1, Latvia celebrates two holidays at once: Labor Day and Day of Convocation of the Constitutional Assembly. The Constitutional Assembly was the first Latvian parliament. In 1918, Latvia declared its independence from Russia. This declaration was followed by the Latvian War of Independence. On February 1, 1920, Latvia signed ceasefire with Russia and sought to affirm its right for self-determination. On April 17 and 18, general elections to the Constitutional Assembly of Latvia were held. The Assembly was a legislative body whose main task was creation of the country’s constitution. It consisted of 150 fifty members, including five woman. Jānis Čakste was the speaker (later he would become the first President of Latvia). The first session of the Constitutional Assembly opened on May 1, 1920. The Assembly functioned until November 7, 1922. During this time, it adopted 205 laws and 291 regulations having the force of law. But its most important achievement was the adoption of Satversme (the Constitution of Latvia). The 1922 Constitution still is the fundamental law of Latvia, although it has been amended since it re-adoption in 1993. The anniversary of the Assembly's first session is an important memorable date in Latvia.